The Stonehenge and Avebury World Heritage site is made up of two parts approximately 25 miles apart. Two landscapes shaped by millennia of human activity. The Stonehenge part of the World Heritage Site covers 2,600 hectares (6,500 acres) of chalk downland and arable fields in Wiltshire. 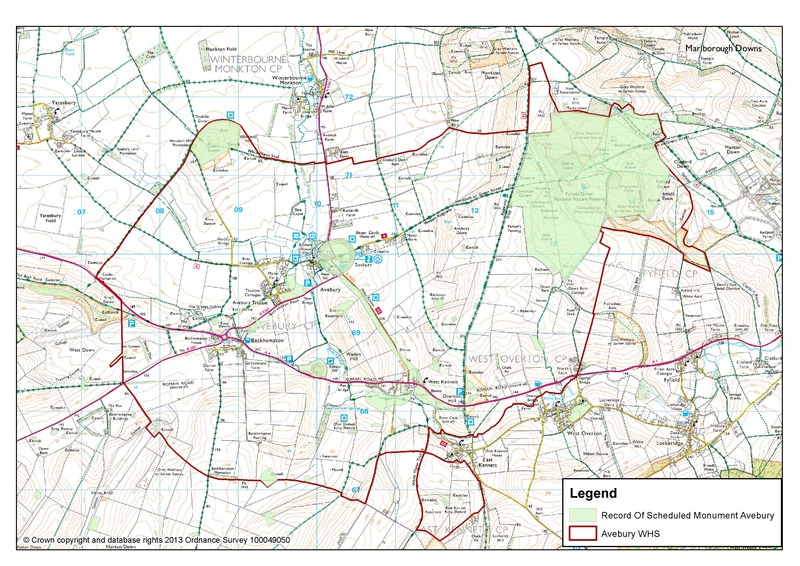 It includes parts of Amesbury and Larkhill, and the villages of West Amesbury, Normanton, Wilsford and Lake in the Woodford Valley. 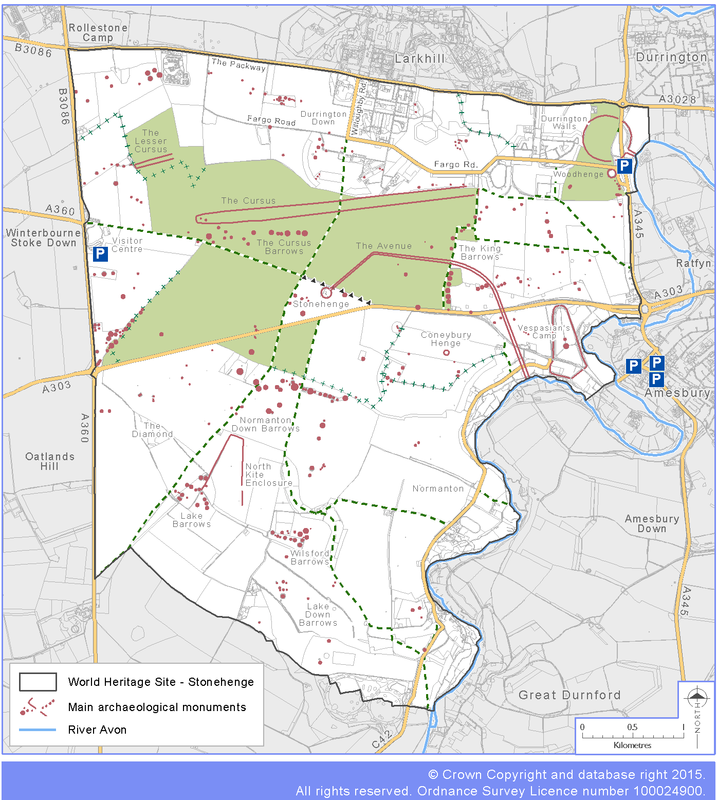 Ownership and management are shared between English Heritage, the National Trust, the Ministry of Defence, the RSPB, Wiltshire Council, farmers and householders. Many others are actively involved and work in partnership at Stonehenge, including Natural England, the Highways Agency, Amesbury Town Council and the Parish Councils. The monument of Stonehenge is managed by English Heritage. To find out more about how to visit Stonehenge and the new visitor centre which opened in December 2013 please visit the English Heritage website. A large part of the World Heritage Site is open to all free of charge all year round. For further information on events and things to do in the Stonehenge Landscape visit the National Trust Stonehenge Landscape website. Avebury Henge is thought to have been constructed in Neolithic times around 2500 BC. It consists of an impressively large stone circle surrounded by a deep ditch and a bank. Avebury is not as well known as the iconic Stonehenge and consequently less visited. It is still possible to walk among the stones and sense the unique, enigmatic atmosphere of the prehistoric site. Another unique aspect of the site is that the stone circle contains within it much of the village of Avebury. The Henge is only one of a complex of ancient monuments concentrated in the 25 square kilometres of the Avebury half of the World Heritage Site. It lies at the centre of an outstanding Neolithic ritual landscape dating back over five and a half thousand years. The earliest focus of ritual activity in the area was at nearby Windmill Hill in around 3700BC. The impressive West Kennet Long Barrow was also begun in this period. Another key monument in the landscape is Silbury Hill. Built around the same period at the Henge, it represents another astonishing feat of Neolithic endeavour. At 30m high, it is the largest prehistoric mound in Europe. As well as these key monuments, the landscape contains a wealth of archaeological remains including well-preserved Bronze Age round barrows which belong to one of the greatest concentrations of round barrows in the country. 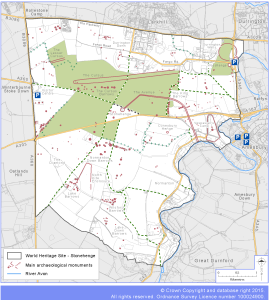 Over 330 archaeological sites are known within the WHS, 160 of which are Scheduled Monuments. The area is also of national significance for its nature conservation interests and it is wholly situated within the North Wessex Downs Area of Outstanding Natural Beauty. Any visit to Avebury should include time to explore this outstanding landscape and its fascinating monuments. Large parts of the Site including many of the major monuments are open to visit free of charge at any time. There are also two excellent museums run by the National Trust which can help you to gain a better understanding of the site.